Dr. Ridge sees patients of all ages. Dr. Holly Ridge is board certified in Chiropractic Medicine and Acupuncture. 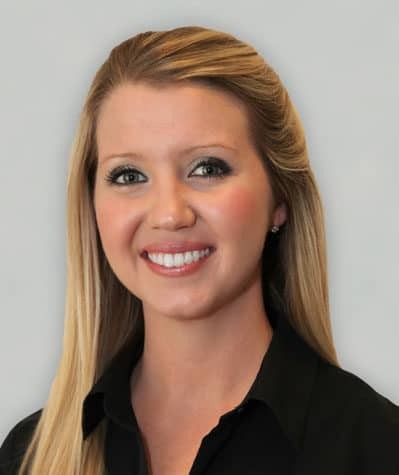 She completed her internship with Florida Wellness Medical Group in 2009 and joined the team shortly after graduation. She has been practicing in Downtown Tampa for almost 9 years. Dr. Ridge is a Floridian, born in Ft. Lauderdale and raised in the Gainesville region. She moved to Tampa Bay after graduating from Palmer College of Chiropractic in Port Orange, FL in 2009. Dr. Ridge knew early on that she was destined to become a health care provider. She recalls writing a research paper on chiropractic when she was in the 5th grade. Years later as a student at the University of Florida, Dr. Ridge sustained an injury that led her to seek chiropractic care. It was this experience that inspired her to become a chiropractor. “There’s always a silver lining,” she says. Dr. Ridge is a lover of the ocean and its conservation. She’s an avid scuba diver and travels the world, soaking up its wonder. She enjoys entertaining, creating, gardening and she absolutely adores her rescue Min Pin named Rosco.